As you may already know Fathers Day is coming up next week! 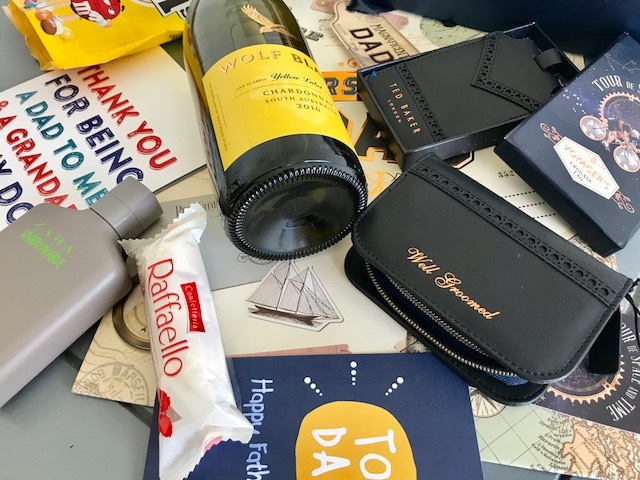 On Sunday the 18th June we will celebrate the Dads in our lives. 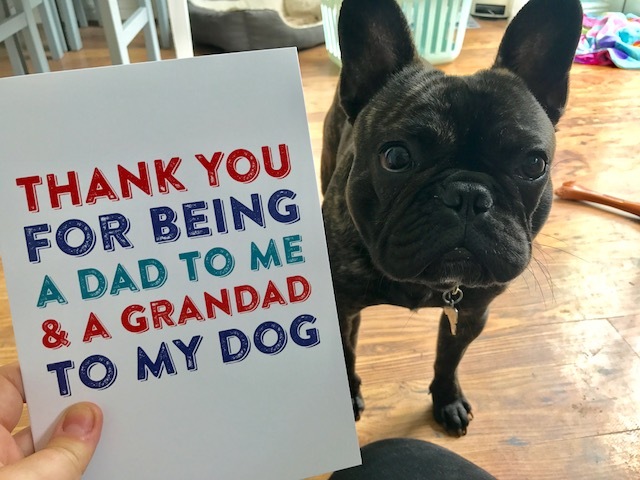 For me personally I don't feel like I thank my Dad for everything he does for me often enough so I wanted to try and get him something nice to mark the occasion. 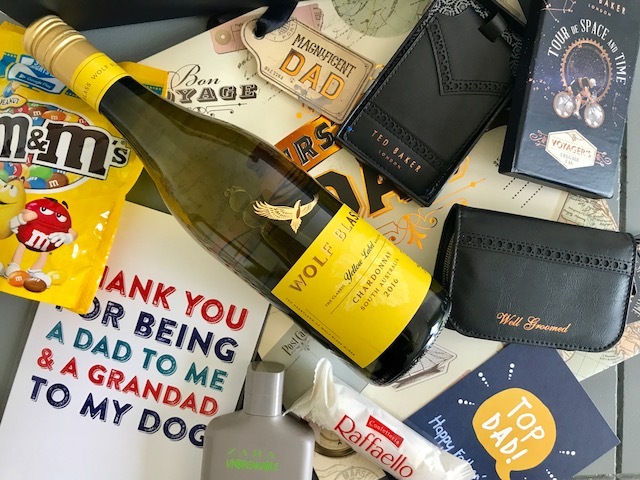 I have put together this little gift guide not only to share what I am getting my Dad this year but also to try and give you some inspiration for gift giving. 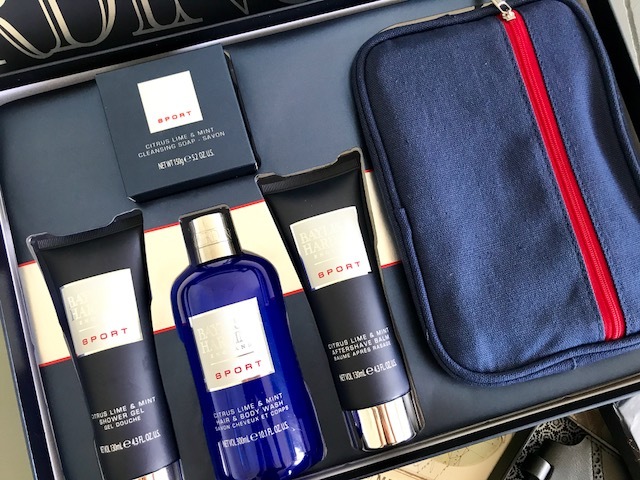 You can never go wrong with other toiletries as gifts such as Shower Gels, Deodorants or even after shave. I think buying beauty products for men is a great gift as they only moan if they have to go out and buying it for themselves! I often buy the men in my life these types of gifts at Christmas. Two gorgeous gifts I have picked up this year include these pieces from Ted Baker via Amara.com. 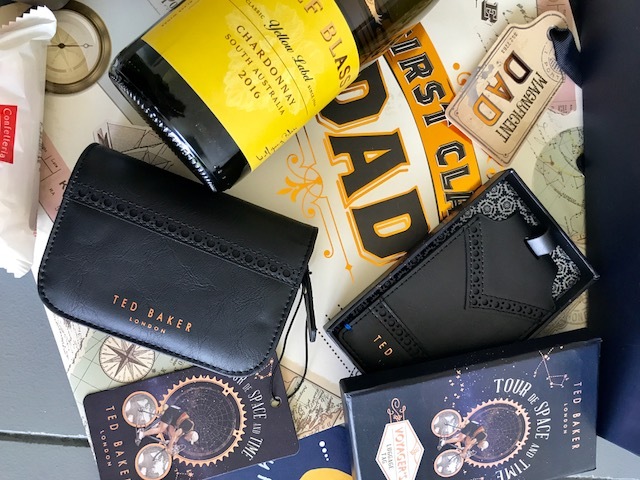 Firstly the Ted Baker luggage tag*, my Dad goes on Holiday A LOT! so I thought this would be nice to pop on his case or his hand luggage as a stylish but practical accessory. Made from Faux Leather and embossed with 'Well Travelled' quote in gold, who wouldn't want this as a gift? 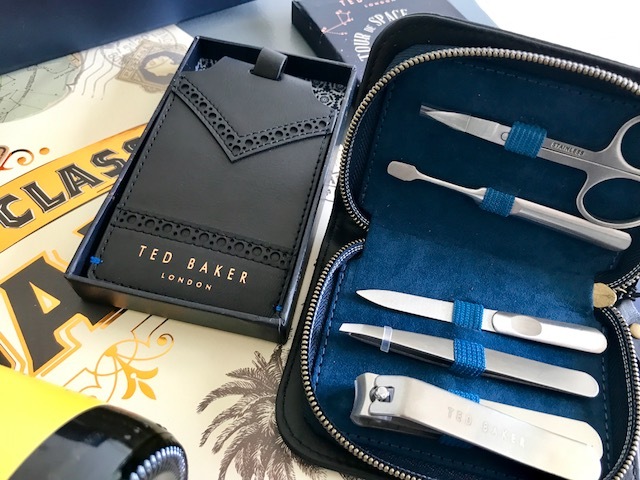 To go with this I choose this Ted Baker Manicure kit* again in the faux leather embossed with the words 'well groomed'. It includes nail clippers, tweezers, scissors, nail file and cuticle pusher all zipped inside the black case. This also comes in brown and is the perfect gift for a well groomed man. 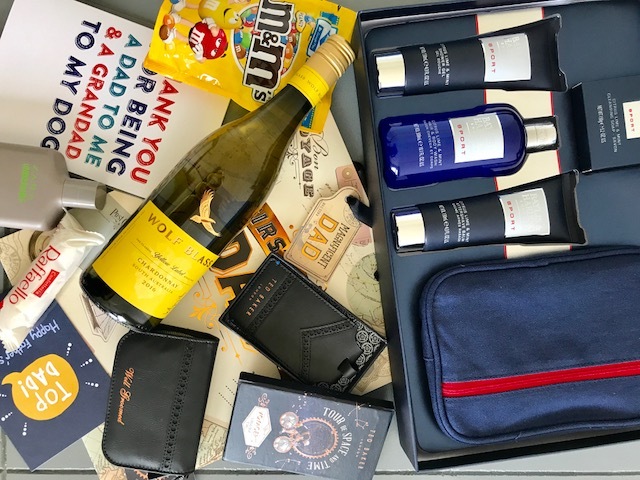 Other gifts that I have included are chocolates and wine! My Dad loves both of these (I mean who doesn't?) 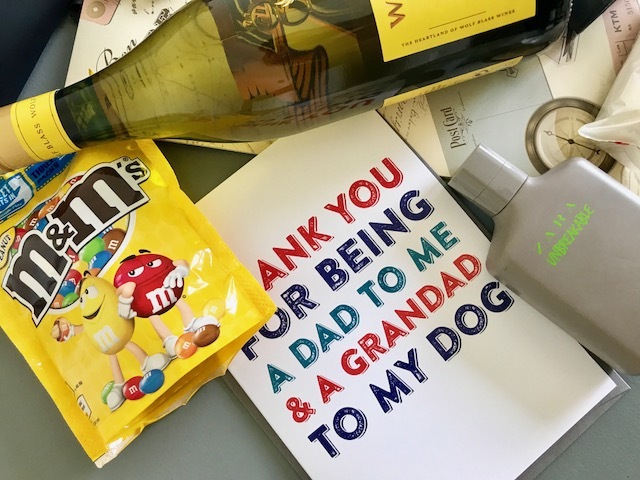 so they make perfect additions to the list;e gift bag i have put together for him. FYI they have really cute gift bags in Home Bargains for less than £1 each! 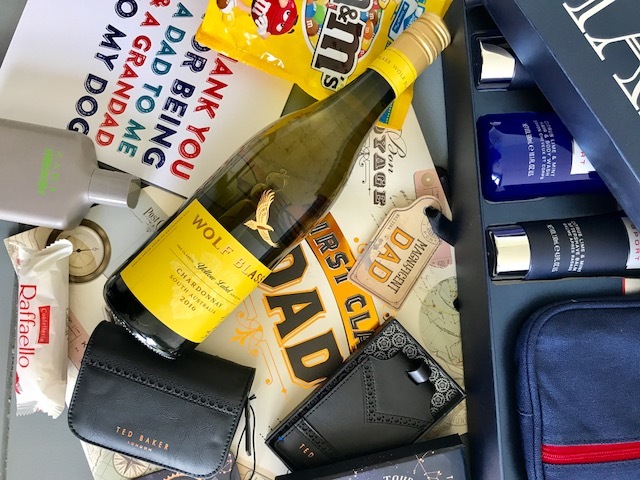 Hopefully this little guide has given you a little inspo to find the perfect gift for your Dad. Disclaimer: Dad if you read this, can you still act surprised please!